ADOT is getting that work done now in order to limit weekend restrictions, including full freeway closures, during the holiday travel and shopping season between Thanksgiving and New Year’s Day. Phoenix-area freeway drivers may have noticed more construction and maintenance closures along interstates 10 and 17. There's some good news behind those restrictions. A scheduled increase in freeway work and closures in October and November allows the Arizona Department of Transportation to make progress on important improvements before a decrease in restrictions sets in during the holiday travel season. Crews have been busy in recent weeks on ADOT projects ranging from bridge construction at the Loop 202 South Mountain Freeway interchange at I-10 and 59th Avenue to I-17 pavement improvements south of downtown Phoenix. ADOT is getting that work done now in order to limit weekend restrictions, including full freeway closures, during the holiday travel and shopping season between Thanksgiving and New Year's Day. Scheduling weekend or overnight freeway restrictions in order to lighten the load during the holidays hasn't been easy, especially with record-setting rainfall in the Phoenix area in October. 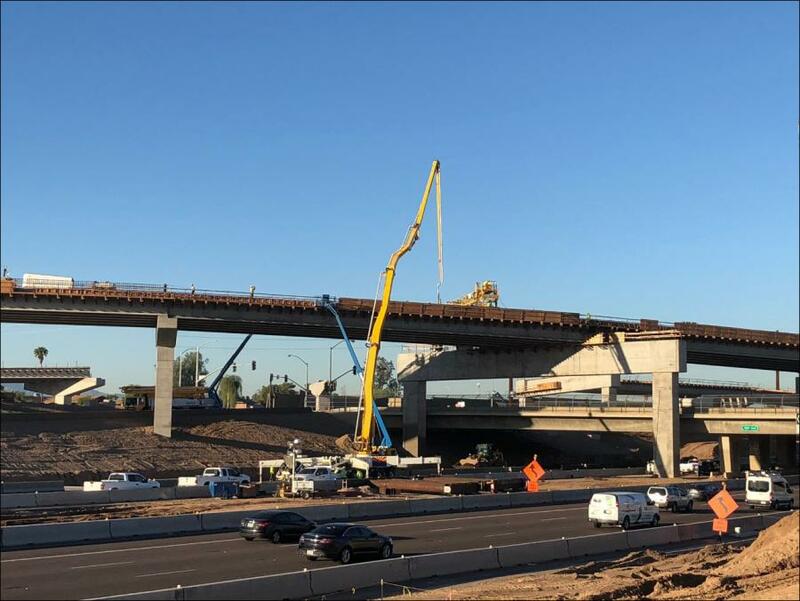 Project teams made substantial progress at the I-10/South Mountain Freeway interchange, including pouring the concrete deck for the elevated ramp that will provide a connection between northbound Loop 202 and westbound I-10 by late 2019. The Phoenix area can expect additional closures or lane restrictions along I-10 near 59th Avenue for work on the Loop 202 interchange. Bridge inspections also are planned at the I-10/I-17 "Stack" interchange near downtown. An ongoing I-10 project near Loop 303 in Goodyear is installing traffic-flow sensors in the pavement as well as electronic message signs above the interstate.